At Orthodontically Yours, we believe everyone deserves a beautiful, healthy smile that they feel proud to call their own. Our doctors and a highly trained team of orthodontic specialists strive to provide high-quality, convenient orthodontic treatment to patients throughout the Thornhill & Mississauga areas, and we work hard to develop personalized treatment plans that perfectly suit each patient's unique needs and lifestyle. Having a beautiful, healthy smile provides a boost of confidence and self-esteem in every area of life – and orthodontic treatment is the best path to achieving one. Whether you’re looking for classic braces, Invisalign, or something else entirely, we’ve got the options you need. If you’re in the Thornhill and Mississauga areas, don’t wait to reach out to a trusted orthodontist today! Straight teeth and a healthy smile provide a positive impact on almost every aspect of life, making everything from neighborhood barbecues to presentations at work easier. And no matter what age or stage of life you are, orthodontic treatment is the best way to achieve an ideal smile. Orthodontic treatment uses advanced science and sophisticated tools to apply fine-tuned forces on the teeth, making use of the body's natural ability to remodel its own tissue – and helping you achieve the smile of your dreams. But orthodontics isn't just for aesthetics or confidence – it can have an important impact on your health, as well. To correct these problems, we use orthodontic appliances like braces and Invisalign to move and reposition the teeth, achieving a healthier, straighter alignment. By applying a gentle, constant, finely-calibrated force to the teeth over a long period of time, we can actually guide the teeth into new positions, helping to construct a healthier, more beautiful smile. 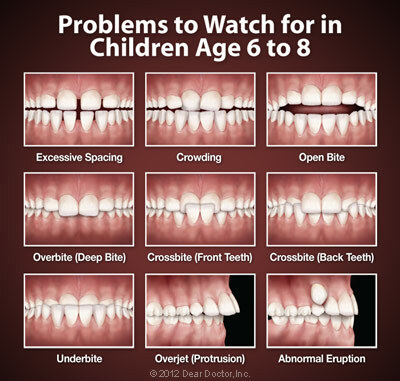 The most common age for orthodontic treatment is adolescence, and we ask parents to bring children in for an initial orthodontic evaluation at age 7. Evaluating early lets us spot problems before they grow in severity, and treating during or before adolescence allows us to take advantages of the body's natural growth spurts to expedite treatment. When we use early orthodontic treatment, we can even use a device called a palatal expander to painlessly widen the upper jaw, creating more room in the smile. That said, we can move healthy teeth at any age – so you're never "too old" for orthodontic treatment. More and more adults are discovering the power of orthodontic treatment, and in fact, over a quarter of our patients are adults! Improving your smile as an adult can boost happiness and confidence in every aspect of life, and you'll get to enjoy those benefits for the rest of your life. Traditional Metal Braces: These are the quintessential orthodontic treatment, but modern braces are lighter, more comfortable, and more aesthetically appealing than ever. They provide a reliable, durable, and cost-effective form of orthodontic treatment for almost any condition. Clear Braces: These use the same technique as traditional braces, but the brackets are made from a clear ceramic composite that blends in with teeth, making them far more discreet and aesthetically appealing. Invisalign: This revolutionary alternative to braces does away with brackets and wires altogether, instead of using a series of clear, removable aligners to straighten teeth. Invisalign is virtually invisible when worn and easy to pop in and out for eating, drinking, brushing, and flossing, meaning no one has to know you're straightening your teeth and you can still enjoy your favorite foods. 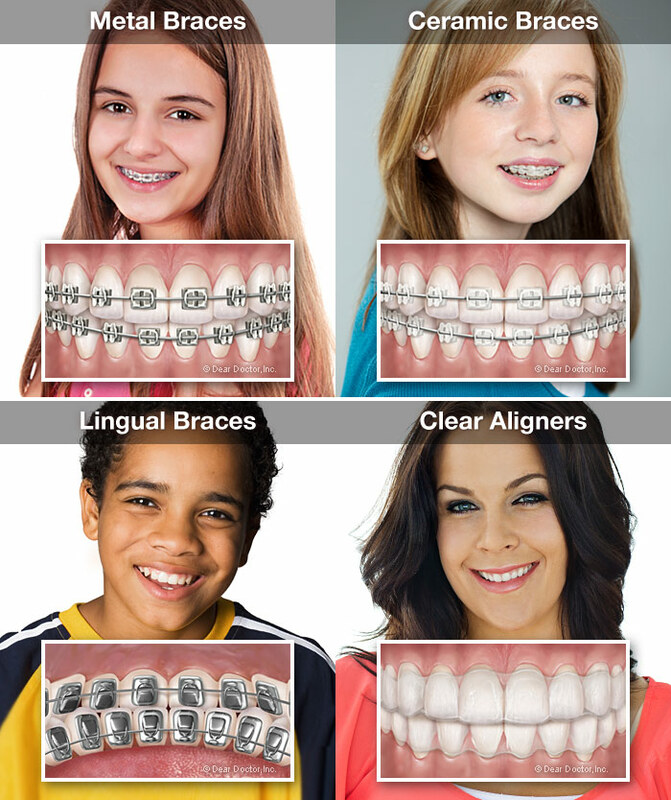 Lingual Braces: While these are made of metal and work the same of braces, they're truly invisible – because the brackets are placed on the inside (tongue side) of the teeth! Lingual braces offer unbeatable aesthetics, but they're more expensive and more difficult to get used to than traditional braces. Once we take your braces off, we know how excited you'll be – but you're not quite out of the woods yet. Next, comes the retention phase, and without retention, your teeth will just drift back to their original locations – erasing all your hard work! We'll give you detailed instructions for wearing and caring for your retainer when we fit you for it after we take your braces off. No matter what form of treatment you choose or what age you start, orthodontics is an investment in your best asset: your smile. If you're interested in finding out more about how orthodontic treatment can help you achieve a straighter, healthier smile, we encourage you to call us at 905-820-6511 for our Mississauga office, 905-763-9098 for our Thornhill office, or reach out to us at our contact page with any questions. Or, if you'd like to schedule a consultation at either of our offices, you can do so using our easy online form. We can't wait to hear from you and your family. We're excited to help you achieve the smile of your dreams!